A few weeks ago, I was interviewed for a podcast and, at the end of the show, invited anyone who had any questions to send me an email or an Instagram message. I was completely overwhelmed by the response I received: dozens of emails and messages have been flooding in ever since with requests for more information about blogging, transitioning from a hobby to a business (read: making money), and SEO. Since you had so many great questions, and so many of you had similar questions, this mini-series of posts will elaborate on all of the things you wanted more info about! This is the second installment in the series, so make sure you’ve read Part 1 first! The long story about the many ways that didn’t work is in Part 1, but suffice it to say: by mid-2017, I had seen the beginning of some organic traffic growth but it was slow, and everything else (social traffic, Pinterest traffic, etc.) was flat or declining. Once I got tired of feeling defeated and like a huge failure (“Why can’t I do this thing that everyone else seems to do effortlessly? !” Sound familiar? ), I took a step back and decided to approach blogging my way, instead of continuing to just try to emulate other bloggers. Whether you have a formal business plan or a back-of-the-napkin bullet point list, some kind of strategy is essential for the health and vitality of your business. In business school, I always hated the idea of business plans, because they were always long and tedious to create. But they don’t have to be. 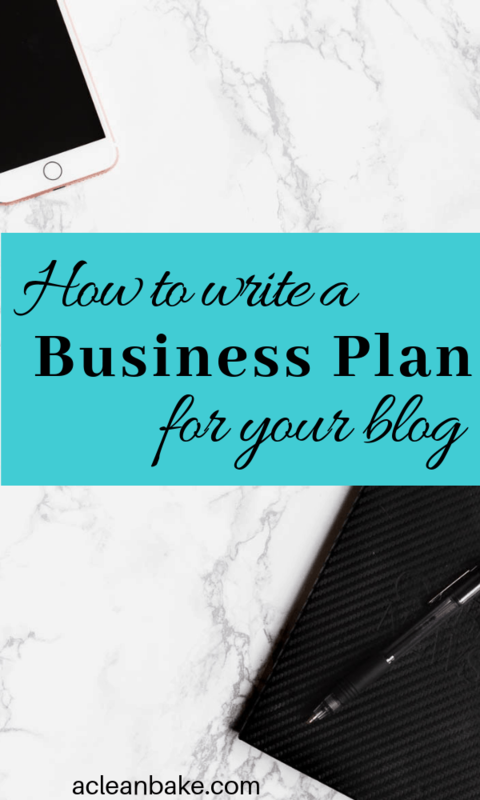 A simple business plan memorializes the strategy that you’re going to follow to achieve the results you want to see from your blog. A plan saves you time, since you won’t waste time posting content that isn’t in line with what your brand promises and your audience expects. It prioritizes and focuses your efforts , because you will have a clear idea of what needs to be done every day, week, and month. It helps you determine what tasks you should handle yourself, what to outsource, and what to stop pursuing (at least for now). And it aids in gauging and tracking your progress, since you know what metrics that are important to your business. Think of your business plan as not just your map, but as the road itself. Sure, you can follow someone else’s route, but how will you ever make progress toward your goals if you’re not on your own road? The core of your strategy is your goals. You can flesh out more of a formal strategy – which I’ll help you with in a moment – but first let’s focus on what should be the north star(s) of your business, meaning everything you do should support these, and you should stop doing anything that doesn’t support these goals. What do you want to accomplish with your website in the next 12 months? This can be anything that is important to you: double your traffic, hit a certain income threshold, achieve certain search rankings, or be interviewed on your favorite podcast 🙂 The most important thing is that it is a big, yet reasonably attainable goal. You can have more than one goal, but make sure they support one another, and limit yourself to no more than three. Increase your blog traffic by 50% in 6 months. Make enough money to pay all your blogging-related expenses and purchase a new camera. Do you see how these goals are intertwined? Working to increase your traffic will also result in higher ad income, and the ability to charge more for sponsored posts. Make sure that, if you set multiple goals, they will not result in you splitting your time between two competing objectives. Before you move forward, look at your goal(s), and make sure they are specific, measurable, attainable, relevant, and timely. If your goals fit these criteria, you’re on the right track. As I said earlier, you can create a formal business pan, but you don’t have to. Instead focus on fleshing out just the elements that are critical for your business success. This is where you’re going to put pen to paper and actually record the goals that you’re setting for your business. Whether you’re just starting out, or trying to turn a long-time hobby into a business, it is helpful to have short-term, mid-term, and long-term goals. The exact time frames are up to you, and whatever feels reasonable, but I recommend setting goals for 6 months from now, 1-2 years from now, and ~5 years from now. These time frames allow you to set a small goal for the short term that will serve as a benchmark. Hitting it is so motivating! Then you can shoot for a little bit larger goal at 1-2 years, and then your dream, the reason you started blogging, at about 5 years. What are you trying to accomplish in 6 months, 1 year, and 5 years? I recommend making your 6 month goals very results-oriented, like hitting a certain traffic or income number. Your one-year and five-ish-year goals are up to you. Make sure your one- and five-year goals are things that are a reach, but still attainable. Setting unattainable goals is the best way to become extremely discouraged extremely quickly. You can adjust the timeframes, if you need to. 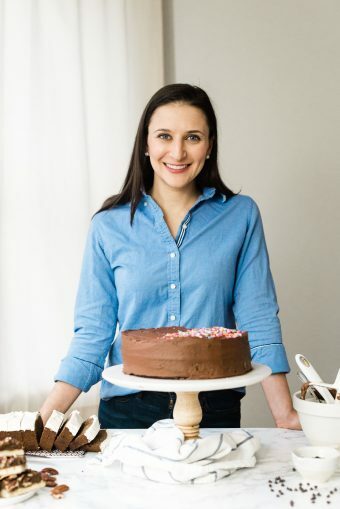 Though there are some lucky bloggers out there, the reality is that most people don’t out-earn their day job salary one year from the date they started their blog, nor do many bloggers get a Food Network show in under 5 years. Oh, and speaking of reasonable goals, don’t forget to keep the Smart Goal Template on hand while you write your goals. What is your business and what does it provide? This question forces you to think at a very high level about why you’re doing what you’re doing. What are you actually providing people? Think about this a little more broadly than just “recipes” or “e-books” or “crafting tips”. Are you offering people confidence in the kitchen? Are you offering them skills that they thought only professional chefs had? When you answer this question, think about what you are offering that will fulfill the site visitor’s need or solve their problem. Instead of thinking literally – like recipes – frame the answer to this question as “what is my reader’s key problem that drove them to my site, and how do I help solve it?”. Who is the target audience, and why do they value what your business provides? What are your talents, skills, and qualifications that allow you to provide this valuable offering to them? Only you can answer this one. Think through all three categories: talents are innate strengths in certain areas, skills are learned, and qualifications are those pieces of paper or titles that connote authority. Also, don’t limit this just to obviously applicable skills – your personality, your writing background, or your marketing experience all count. How do you package your offering? You already know what problem you’re solving, but what makes up your solution? You need to get as specific as possible about what you’re providing people. Recipes are great, but “healthy recipes, mostly for lunch and dinner, that require an average of 10 ingredients or less, and take less than an hour to make” is better. Be as specific as possible, but give yourself wiggle room, such as to post the occasional dessert or cocktail, where you want it. What brings people to your site? What are they looking for? Think about the problem you are solving for your reader. I define problem pretty broadly here: it can be anything from “I have to change my diet and I don’t know how” to “I’m hosting Thanksgiving for the first time… where do I start” or even “I have 30 minutes to make dinner and I need to a good idea”. Whatever it is, it needs to be applicable to your entire site. What about your offering keeps people on the site and/or motivates them to come back and/or subscribe? In other words, what sets you apart? What do you offer that no one else does (or few other sites do)? What barriers to growth do you face? When you look at the field of blogging, what do you consider to be the biggest challenges you’ll face? Is the market especially crowded right now? (Hint: yes, it is.) Does someone else have a blog with the same name? Do you have a full time job? What else might present a hurdle to growing your site? What might prevent people from getting to your site, staying on your site, and coming back? Be very honest with yourself here. What are your business’s weaknesses? A lot of businesses try to ignore, or justify away, these weaknesses, but of course that never works. Doing that is just a backhanded insult to your customers, because you’re assuming they won’t notice that you’re selling them short! That doesn’t mean that your site has to be perfect from the moment it launches. Absolutely not! The benefit of a web-based business is that you can tweak as you go. But you need to be aware of what you need to tweak, learn, or get help with. Take a look at the “big” bloggers out there and pay careful attention to what they’re doing that catches your eye. I just want to be very clear that I am not encouraging you to copy what they are doing. Instead, you need to explore their sites as a typical home cook would when they’re looking for a recipe for dinner or a birthday cake. Think carefully about what they do to make the site as welcoming and engaging as possible, while helping to solve the visitor’s problem. Now think about the problem that you’re hoping to help your visitor with (from above). What do you need in order to be able to completely provide them with a solution, and what components of that solution aren’t in place yet? This step is not absolutely necessary, but it does help to get a feel for the reality of owning a business which is, unfortunately, heavily influenced by how much you earn vs how much you spend. You can skip this for now, if you don’t feel ready for it, but don’t forget to come back to it down the road. How much does your business cost? First, make a list of the costs that you currently have for your site on a monthly basis. Total them up. If you have one-time, periodic expenses (like renewing your domain every year, paying for site security every 6 months, or buying a new camera or lens once a year), divide the total expense by the number of months in that period of time (Cost of your domain / 12) and add that monthly cost to your list of expenses. Then make another version of your monthly expenses that includes any additional expenses that you will incur as you grow. For example, as your traffic grows, you’ll probably need to switch to a most robust hosting environment, which will be pricier than what you likely have now. Similarly, as you gain more email subscribers, you will probably reach a higher price tier. Calculate your current expenses and your likely expenses in 6 months, 1 year, and 5 years. Don’t forget to factor in things like health insurance premiums, when/if you plan to quit your job down the road. How much does your business earn? You can also use your skills to do related activities that don’t appear on your blog, like creating content for brands and other bloggers, or holding in-person retreats or workshops. Not all of these income streams might be right for you, now or ever. So pick the ones you currently earn from, and calculate approximately what you earn on a monthly basis now, in 6 months, 1 year, and 5 years. 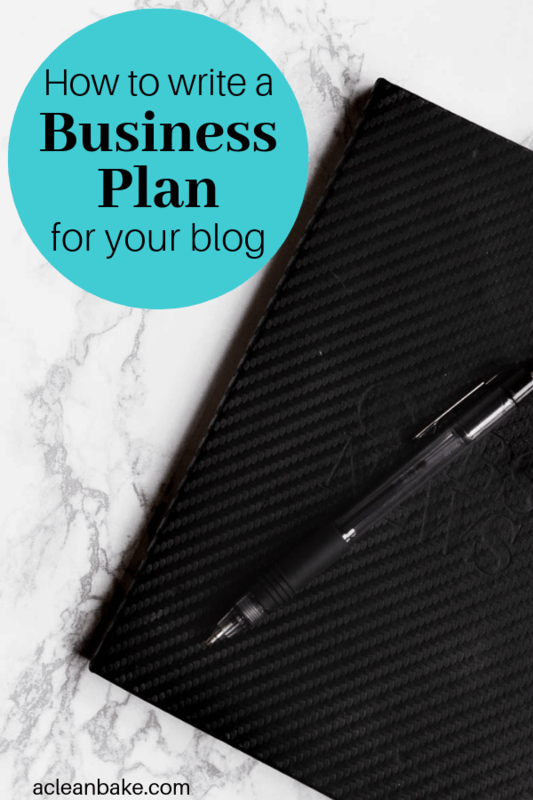 What do you do with your business plan? Alright, now that you have your strategy memorialized in a business plan, print it out (especially your goal/s) and hang it somewhere visible. Each time you need to make a decision, big or small, consult your plan and very honestly determine whether saying yes will help you get one step closer to your goal(s). It sounds simple, and it is. When you’re launching a small business, you’re probably doing most or all of the work yourself and it is easy to get distracted, or lose sight of the forest through the trees, so to speak. Clearly writing down your, uh, forest (you know, the big picture for your business, also known as your business plan) gives you something to refer to every single time you need to re-focus. It tells you where to go and where not to go. It guides you to say yes or no. And it helps to make the most of every moment you spend working on your business. Best of all? It only takes a few hours to create, but will focus and direct your business toward (whatever you decided was your version of) success for months, or maybe even years, to come. Did I leave anything out? Is anything unclear? Leave me a comment below and let me know! Thank you for sharing this Nora! I was just talking to my husband about how I need to get organized and get a business plan in order. I’m so glad to hear that it’s helpful! Thanks so much for sharing, Nora! I’m learning so much from your recent SEO posts and have taken in a lot of information from other businesses you’ve mentioned. I’m looking forward to making my business plan clear so I can keep focused on what really matters to get me to my goals!! You’re welcome, Madi! Good luck!